We just returned from a wonderful vacation in Denmark. It was a rather spontaneous decision. We had to find a family friendly last minute destination, so Baltic sea beaches and a very quiet rural area sounded just about right. (The German part of the Baltic sea is usually packed during summer.) We rented a sommerhus (holiday home) on Lolland, one of the Danish islands, and drove off just like that. (Okay, we also rented a car, booked hotels, and reserved a ferry spot.) From Dresden it’s a five-hour car ride to Rostock, where you can take a ferry to the island of Falster. From there it was another one hour drive to our destination. A completely relaxed drive as well because you aren’t allowed to speed anywhere in Denmark and even if, nobody was there to speed. (Speeding and tailgating is a problem on German highways. As if unlimited speed was written into our constitution.) Our kid didin’t suffer from her motion sickness once, which was very unusual. Lolland is probably the most boring place you can be. Honestly at times we thought there had been a nuclear strike while we were on the ferry. Even though the Danish school kids were on vacation and we were in a sommerhus area with all the houses around us occupied, we almost never saw anyone. But to us, boring was good. Our daughter was able to walk around everywhere without watching her step. She had a huge garden to discover and many sand castles to build. We made long bike trips on empty main roads and I got about a million new freckles. Also, or internet connection was really poor, so I did what I wanted to do anyway. I read books. Wow, haven’t been doing that properly in a while. And then when we got back from our holiday, I was back into a long loved habit. So you have to excuse me for today’s brief post and the simple recipe, I have to get back to my novel. When it comes to food, the only vegan option we found when eating out was French fries. Even vegetarian food was hard to find. (Admittedly we didn’t look too closely, since our house came with a kitchen.) The people on Lolland seem to love their meat and fish even more than most Germans. Of course it would have been easy to order food without all the animal products on it, but instead we just cooked at home. Although the supermarkets were stocked really well, we bought most of our vegetables from small stalls at the side of the road. Or from wooden boxes marked with a Danish flag. There’s just the vegetables in the box or cupboard, a note for the price, and a little cash box. All on confidence base. I think that’s one of the best ideas ever to get rid of your yearly zucchini flood. And if you already have your garden overflowing with squash, I have the perfect recipe for you. 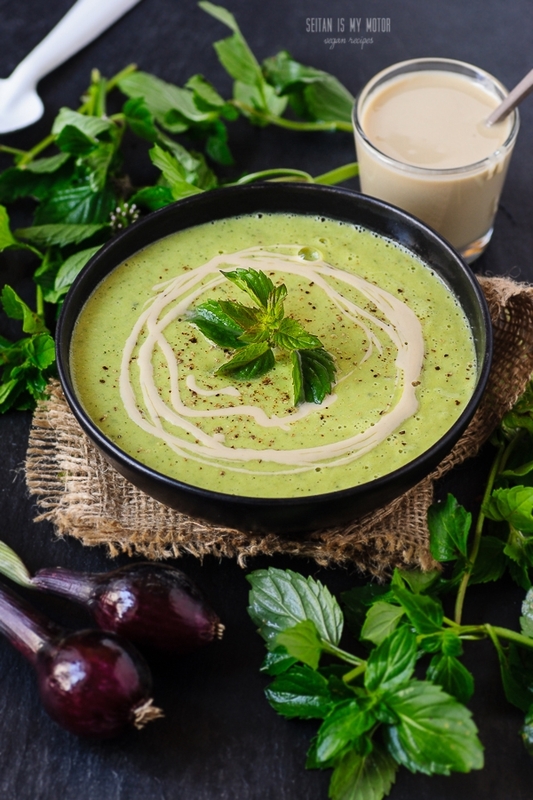 It’s a simple and creamy zucchini soup enriched with tahini and mint. Add oil, onion, and garlic to a pot and fry until the onion is translucent. Add zucchini, peas, and vegetable broth and cook for 10 minutes. 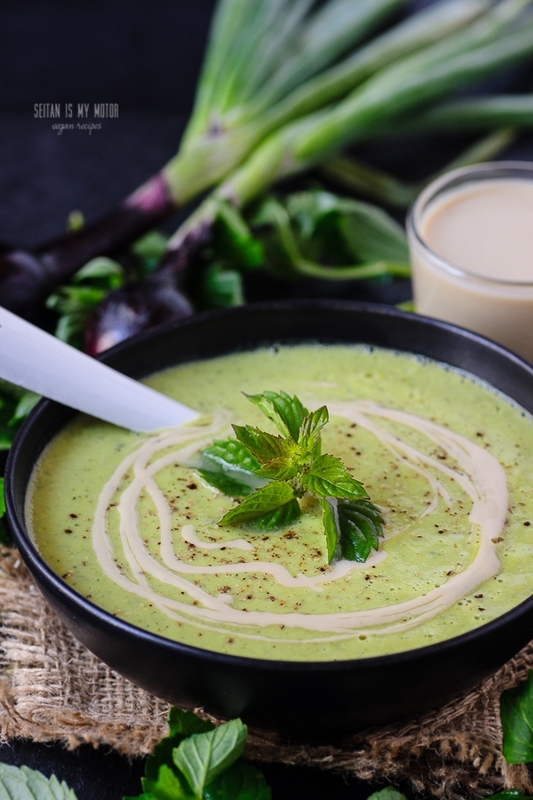 Place the soup in a blender together with tahini and mint. Blend until smooth and pour back into the pot. Season with salt and pepper and serve with more zucchini. I made this soup today and it is really lovely. Thank you for the recipe! p.s. what book did you read? Thanks Mihl, I haven’t read any by him (yet). I love boring holidays with lots of time to read. My reading list is so long! This sounds lovely. 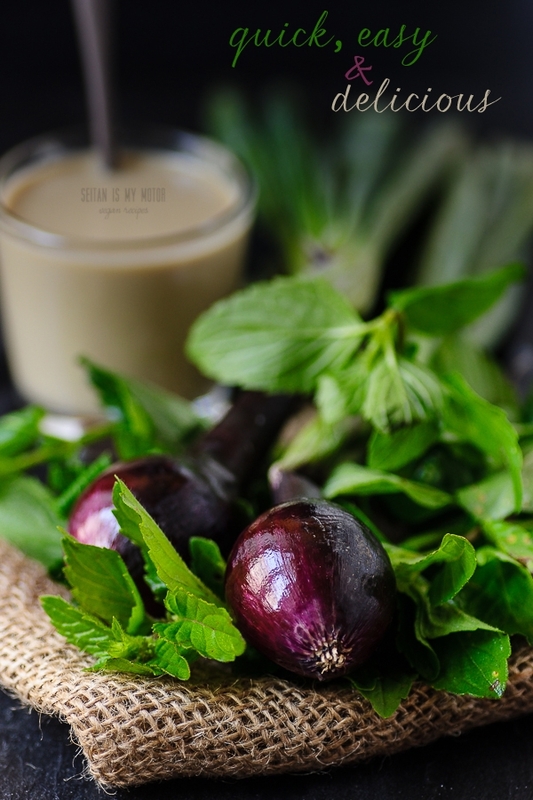 I love the simplicity of it, but can imagine a beautiful depth of flavour with the tahini and mint. What a perfect summer soup! Do you think it could be served cold as well? The soup sounds lovely as well.